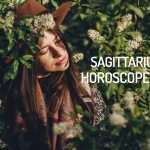 Looking for the Sagittarius Horoscope for 2019? Every month, you will find here the astrological forecasts for your zodiac sign. Check the Horoscope for Sagittarius, in 2019. At the beginning of the year, Sagittarius will be more conciliatory and have good communication with their partner. Singles will be more attractive to others. Couples will renew their agreements. Families will receive joy from their children and single people could start a romance with a slightly eccentric person. In January, the financial and work-related possibilities of the followers of Sagittarius will grow. The natives of this sign will assume leadership positions, but the environment at work will be very competitive. Prepare for new responsibilities, a promotion or change of employer. At the beginning of the year Sagittarius will have very good health and lots of strength to recover from diseases. While their energy will increase, they must be aware of possible injuries in sports. The end of the first quarter implies a review of your diet and a good exercise plan, according to your condition. The Sagittarius’ circle of friends will expand, and it is a good time for romance. The home environment will become better for these natives in May. They will want to make changes in something in the home. It is a good time of the year for couples. There will be increased communication and the desire to have experiences together. There will be new challenges and projects that support professional development but lead to economic stagnation. Family businesses and investments with those who are close to you have a positive outlook. Business connections that are very beneficial for the followers of the sign could come along. The Sagittarians could overindulge in April. They should try to moderate food, beverages and other substances, which can be harmful in excess. They will become more concerned for their personal image and improve their aesthetic as a way of feeling good. What they need to work on to improve their health, both physically and emotionally, will become clearer. Love in the third trimester will begin with the Sagittarians being a little sad about present events. As their self-esteem grows, many natives feel that they must leave their fears behind, especially those related to intimacy. In September, a friend could become something else. With respect to money, things will be delayed a bit in July. There could be a postponement or delay in payment. There is a possibility to start studying. Projects related to trips, school or work will be more of a focus in August. You will stand out professionally and you may receive the offer to take charge of a team. The centaurs could gain several pounds in July, so you will need to be more careful to eat a balanced diet. A better physical condition will allow you to relate to people properly, which will translate into a better mental state. You will have little willingness to follow treatments, diets or to make modifications to improve your state of health. The influence of the asteroid Eros in Sagittarius in the fourth trimester will provide the natives of Sagittarius with a lot of sexual desire and pleasure in intimate moments. In November they will prioritize their family and any spaces they share with them. The couple’s relationship will grow and it will move to another level of knowledge or commitment. Self-confidence at work will grow and many options will present themselves to achieve more financial stability. You will have a good period in business and you will be more productive and willing to help others. Economic possibilities will appear at the end of the year for Sagittarius. With respect to health in October, the natives of the sign could have insomnia problems. On the other hand, the influence of the new moon will lead them on new spiritual searches. To solve any health problem, they will have to attack it at its very source and not find half-hearted solutions. Any spiritual, religious or mystical paths necessary for personal harmony will be set upon. The entrance of Venus into Sagittarius (01/07), will lead the natives of this sign to be more aware of the powers of attraction. This astral transit also favors playing the role of mediator in conflicts that may come up. This will be a month of growth for the sons and daughters of Sagittarius in every sense due to the presence of Jupiter in the sign of the centaur. Jupiter, the ruling planet of Sagittarius, will be positioned in the sign of the centaur, which implies greater physical strength and resistance to disease. The entrance of the asteroid Juno into the VII House of Sagittarius (02/11) points towards reaffirming engagement status for couples. The entry of Mars into the VI House of Sagittarius (02/14), promotes leadership positions at work, but also greatly augments your spirit of competition which can generate discomfort among teammates. With Mars in the VI House of Sagittarius, starting on February 14th, you will feel full of energy. It is a good idea to avoid overdoing things, since it can lead to minor injuries, especially in sports environments. The entrance of the Sun into the V House of Sagittarius (03/20), alludes to a chance of romance with someone that has a captivating personality. This planetary position also suggests that there will be emotion for the achievements of your descendants. The entry of Uranus into the VI House of Sagittarius (03/06), indicates fundamental changes in work structures. These could be through departures, promotions or the assignment of new responsibilities. Beware: the presence of Uranus in the VI House of the centaur encourages you to adopt new exercise regimens or eating habits, some of which may have not be designed for your requirements and physical condition. It is essential to consult with qualified specialists before making modifications to your lifestyle. The entry of Mercury into the V House of Sagittarius (04/17) is an opportunity to meet different people who interest you. For couples, romantic walks in places close to their usual residence have a positive outlook. The entrance of the Sun into the VI House of Sagittarius (04/20) is a promising planetary movement for those who want to stand out in their workplace. However, keep in mind that new responsibilities do not always imply a higher salary, (Pluto and Saturn in retrograde in the II House during the second half of April). The beginning of the retrogradation of Jupiter in Sagittarius (04/10) can lead to waste and overindulgence. Moderation is the key for advancing in this transit. The entrance of Lilith in the IV House of Sagittarius (05/03), encourages discussions on issues related to moving or domestic repairs. The entry of Mars into the VIII House of Sagittarius (05/05) suggests the possibility of receiving proposals for investment from family members. With Venus in the VI House of Sagittarius starting on May 15th, changing your image and wardrobe will be the name of the game this month. The arrival of Venus to the VII House of Sagittarius (06/08), will promote communication between couples. It is a suitable time for sharing dreams and projects with your partner. The New Moon in Gemini on June 3rd will touch the VII House of Sagittarius, presenting the opportunity to establish alliances or lucrative business partnerships. With the Full Moon in Sagittarius on June 17th, clarity will come on any aspects that you must work on to feel better about yourself. The entrance of Vesta into the VI House of the centaur (06/09) will lead you to reflect before making pertinent decisions. The beginning of the retrogradation of Chiron in the V House of the centaur (07/08) will generate pessimistic thoughts that will undermine the mood of the followers of the sign. Professional training opportunities will knock on your door. If you are involved in international procedures, it is likely that they will get delayed due to the retrogradation of Mercury in the IX House of Sagittarius from July 7th to July 18th. Starting on July 17th, Ceres will be in its direct phase in Sagittarius, which is a signal for taking better care of yourself, mainly with respect to nutrition. The North Node of Karma will be located in the VIII House of Sagittarius in 2019. This a position that invites you to discover your true personal power and overcome your fear of intimacy. The Venus Star Point (the conjunction of Sun – Venus) will take place on August 14th and affect the IX House of Sagittarius. It will encourage you to reveal your true aspirations in subjects such as studies and trips abroad. Jupiter will be in its direct phase in Sagittarius again starting on August 11th. It can be interpreted as the progressive recovery of physical health and a better mental state. The entrance of Venus into the XI House of Sagittarius (09/14) promotes romantically approaching someone special that is close to your group of friends. The first half of September will be directed towards consolidating the professional image of the sons and daughters of the centaur. Subsequently, the passage of several planets through the XI House of Sagittarius will bring chances for success through newly formed teams at work. With the start of the retrograde of Vesta in the VI House of Sagittarius (09/23), you may rebel against having medical treatments or a demand to abandon harmful habits. Eros, asteroid of lust, will remain in Sagittarius during the month of October, which will lead to an increase in sexual desire and the enjoyment of intimacy. Pluto will finally begin its direct phase in the II House of Sagittarius (10/03). You will have gained greater self-confidence and be aware of the necessary decisions to take to ensure economic stability. The transit of several planets over the XII House of Sagittarius will generate changes in your sleep patterns. It is worth noting that the New Moon will take place in this same location on October 27th. This is a lunar event that invites you to move on from the past and rediscover your spirituality. The direct phase of Neptune will begin in the IV House of Sagittarius on November 27th which can be interpreted as enjoying the present moment as a family, even though the conditions may not correspond to other people’s ideals of perfection. The entrance of Ceres into the II House of Sagittarius (11/16) increases your level of productivity and refers to the satisfaction obtained by transferring your knowledge to others. The Full Moon on November 12th will impact in the VI House of Sagittarius, a location where Uranus and Vesta will also be in retrograde. These alignments make it clear that the transformation must obey the causes and not the consequences. The Full Moon on December 12th will affect the VII House of Sagittarius and it alludes to a new level (or space) in relationships. The yearly eclipse of the Sun in Capricorn will touch the II House of Sagittarius on December 26th, highlighting your ability to create the financial opportunities you crave. The beginning of the direct phase of Vesta in the VI House of Sagittarius (12/29) will remind you of the value of connecting with your spiritual side as an activating element of your internal balance. This year starts for Sagittarius with a more spiritual quest. Good administration of your finances in general. At the beginning of the year you will need to take a break in order to keep your health stabilized. You family will be extremely important and familiar experiences will give you great joy. You will feel the need to practice a sports activity. The planetary influence will help you see more clearly your projections in the affective field. Beware of some purchases made by impulse. Communication with your better half will be strengthened and singles could begin an important relationship in the first semester. Your energy field may be weakened and you also might have some conflicts at work. Check your urinary system and your kidney function. It is important to devote time to your family. Try to control some stubbornness in your closest relationships. The influence of Pluto and Saturn will boost your economies. Some conflicts with coworkers could affect you emotionally. Long-term couples will need a little more self-knowledge and applying it to the relationship, in order to better understand some events for the past and to project themselves in the future. Mercury will give you a little more energy, especially at the mental level. Reconciliation will be fundamental in this period. The projection of your economic future must take into account the people that are closer to you and the urgencies of the present moment. By the end of the year, your body will be strengthened, you’ll feel more vitality, but you must be careful not to abuse and avoid excesses in every way. Your personal appeal and power of seduction will be increased when 2018 reaches an end. The asteroid Vesta will enter the I House of Sagittarius (01/15), awakening the spirituality of the natives of this sign. It is a favorable period for activities such as meditation, prayer and revision of old beliefs. The resources received thanks to the intervention of Venus in the II House of Sagittarius, when administered with wisdom and discretion, will lay the foundations for future projects. The health of the sagittarians will remain stable during the month of January. However, it is important that they dedicate time to rest, to recover from the excesses of December. An important number of planets will be moving in the IV House of Sagittarius in the month of February, placing the focal point in the home and domestic life. Sharing with your family of origin and making improvements to the main house will be among the most outstanding activities of the period. The partial eclipse of the Sun in Aquarius, which will take place on February 15th, will touch the III House of Sagittarius, which indicates a very busy season, in terms of short trips, and business presentations. Vitality and energy. Excellent time to do activities (sports and recreational) outdoors, alone or in groups. Jupiter, the ruling planet of Sagittarius, will begin its retrogradation phase in the XII House of the sign (03/08). This planetary movement has two interesting sides: extracting positive lessons from contrasting experiences or trying to evade reality through distractions. The entry of Mars to the II House of Sagittarius (03/17) encourages the sons and daughters of the centaur to work hard for their goals, but can also push them to spend more than necessary, to demonstrate an illusory position. The retrogradation of the ruling planet of Sagittarius can lead the natives of the sign to experience episodes of depression, frustration and anger. On April 24th, Venus will enter the VII House of Sagittarius, facilitating communication between couples, although there will be differences for economic reasons. Some single people with this sign will take a decisive step in a relationship, and others will have the opportunity to meet someone very special. In the month of April, Saturn and Pluto will begin to retrograde in the II House of Sagittarius, bringing with them lessons with respect to resource management, which will also include a significant restriction of funds. Strength. The sons and daughters of the centaur who have gone through a period of illness will enter the process of progressive recovery. However, it is essential to strictly comply with medical treatments, and not abandon them when starting to feel better. Uranus will enter the VI House of Sagittarius (05/15), which will result in an inclination for creative or innovative tasks in the work environment. This planetary movement can also produce some friction with hierarchical superiors, if you feel limited. The asteroid Vesta will begin its retrogradation in the II House of Sagittarius (08/05), adding to Pluto and Saturn, that also realize their (apparent) backward step in this sector of the astral map. In this sense, the action of Vesta can lead the Sagittarian to feel like the victim of greater forces and be overcome by obstacles, without resisting or trying new strategies. Caution against ailments that may affect the kidneys and the urinary system. While in the love plane, the stars will smile at the sons and daughters of the centaur during the month of June, the retrogradation of Neptune in the IV House of Sagittarius (06/18) will impose the need to address forgotten family matters. Support from close family members and your life partner will be essential to overcome the economic bumps you will face this month. Difficulty in maintaining habitual sleeping patterns. Intense dream activity. Chronic exhaustion. Need for rest and relaxation. The partial eclipse of the Sun in Cancer (07/13) will touch the VIII House of Sagittarius, signaling the end of situations which prevented the development of intimacy in relationships between couples. The entrance of the asteroid Juno in the VI House of Sagittarius announces a new level of commitment to work, probably motivated by a promotion, a change of area or the allocation of new responsibilities. Although it is an advantageous situation, it can affect your domestic life. Jupiter, the ruling planet of Sagittarius, will leave retrogradation behind and initiate its direct phase (07/10), allowing the natives of this sign to (gradually) recover their physical, mental and emotional balance. The partial solar eclipse in Leo, which will take place on August 11th, boosts the work initiated by the asteroid Vesta in its passage through Sagittarius, by focusing attention on one’s own spirituality. Uranus will begin to retrograde in the VI House of Sagittarius, starting on 08/07, generating unnecessary debates in the workplace from the tendency to want to do things “your way” and at any cost. With Uranus in retrograde in the VI House of the centaur, there will be a tendency to experience stress, nervous breakdowns and joint pain, as well as rashes, due to allergies. During its retrograde phase, Chiron will enter the IV House of Sagittarius (09/25), an important moment if you want to heal emotional wounds suffered in your childhood, or relationship problems with a mother figure. Pluto and Saturn will complete their retrogradation period in the II House of Sagittarius, which will allow you to recover in the economic sector, applying maturity and responsibility with respect to resource management. Stress episodes persist, generated by the passage of retrograde Uranus in the VI House of Sagittarius. Venus, planet of love and desire, will begin to retrograde in the XII House of Sagittarius, which will bring a focus to the subject of personal assessment, and how important your own perception is in comparison with that of others. Finances will remain stable during this period of the year. Keep an eye out in the workplace: avoid discussions with co-workers. At the end of the month, Mercury will enter the sign of Sagittarius giving the natives of the sign the ability to better (mentally) organize themselves, minimizing the effects of retrograde Uranus. The entrance of the asteroid Palas in the XI House of Sagittarius (11/04) will be an excellent tool to mitigate the damage caused in your group of friends by the retrogradation of Venus in the same sector of the astral map (XI House). Jupiter, the planet of expansion and leader of Sagittarius, will enter your sign on November 8th, announcing the beginning of a year of personal (and economic) growth for you. It is an excellent time to draw new goals and objectives. The entrance of Jupiter to your sign, preceded by the exit of retrograde Uranus from the VI House of the centaur promotes recovery in the physical plane. During the second half of the month, you will gain more energy and vitality. Strong personal appeal. Single people will receive a good number of proposals, some will arouse their interest. Harmony in the home. Stable finances. You will focus your attention on projects you want to develop in 2019, but do not neglect the present. Strength and vitality. Do not abuse your body, or you will pay the consequences in the medium term.